Amazon (NASDAQ:AMZN) Prime is undoubtedly the e-commerce giant's greatest competitive advantage. For $119/year, the membership provides a smorgasbord of benefits including video streaming, discounts at Whole Foods, and, most importantly, free two-day shipping on millions of items. The service has attracted more than 100 million members around the world, and despite its rivals' numerous attempts to crack Amazon's stranglehold on the e-commerce market, it still has about 50% market share. According to some reports, that number is growing. However, in a new experiment called Jetblack, Walmart (NYSE:WMT) is targeting a market that Amazon has mostly overlooked -- the high-end customer looking for a curated, personal-shopper-like experience. Targeted at wealthy moms, Jetblack's curated service costs $600/year, but its benefits go well beyond what Amazon Prime offers. For that fee, members, who must live in Manhattan for now, can order anything except fresh food, alcohol, and prescription drugs, and will usually get it the same day. Unlike Prime, Jetblack's members don't have to scan any website for what they're looking for, they simply text their personal assistant, or bot, for anything they want. They can also request recommendations on certain items from category experts and have their assistants pick up gifts, complete with gift-wrapping and handwritten cards. The brainchild of Lore, the service was co-founded by Lore and Rent the Runway co-founder Jenny Fleiss, who serves as CEO. Jetblack focused on new moms, as they are often time-starved and cycle through new product needs as their babies grew older, but it's easy to see how the service would appeal to a wide swath of wealthier Americans. The average member orders more than 10 items a week and spends an average of $300 a week. Thus far, the service only has a few hundred members, and it's unclear what Walmart's end goal is. The company is treating Jetblack like a start-up in order to gain research with artificial intelligence and experiment with a new kind of service. It's not profitable at the moment, and the service has a wait list. Current members were invited by Walmart or referred by other members, and must live in a building with a doorkeeper. Jetblack's initial success underscores a truism about Amazon Prime. For all its innovations and perks, the service also has its flaws and shortcomings. Prime is great for when you know exactly what you want, like a pair of socks, a kitchen gadget, or dog food, but if it's something new or unfamiliar you're after, known as discovery shopping, Amazon's interface can be frustrating or even useless. The "Amazon's Choice" recommendation, for example, is just generated by an algorithm, rather than a human recommendation, and users must often wade through dozens or hundreds of reviews, a time-consuming and tiring process, to determine what the best selection is for them. When they pick the wrong thing, they need to return it and repeat the process from scratch. Jetblack eliminates all of those hassles. Meanwhile, discovery shopping is increasingly looking like the next big growth opportunity in e-commerce, in part because Amazon has established a dominant position in "utility shopping." Facebook's (NASDAQ: FB) Instagram, for instance, just stepped up its own efforts at e-commerce, allowing certain brands like Nike and Zara to directly sell items pictured in their Instagram feeds. Stitch Fix (NASDAQ: SFIX), the personalized styling service, continues to see solid growth by removing much of the hassle out of clothes shopping, like searching, selecting, and sizing. Unlike Amazon, these kinds of shopping experiences, including Jetblack, bring a sense of delight to the customer with the joy of discovery and surprise. Combine that with the convenience and availability of a personal assistant who's able to provide recommendations, and Jetblack is a powerful proposition for those willing to pay for it. 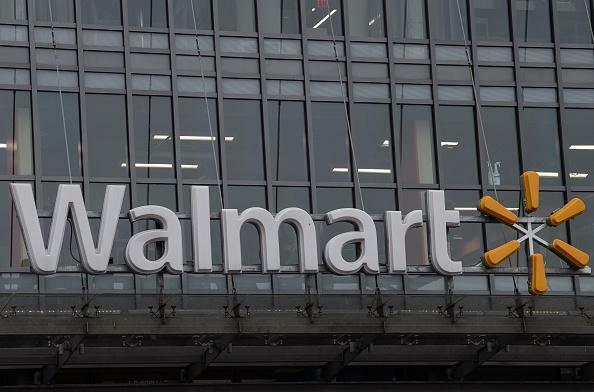 A Walmart executive told The Wall StreetJournal that it's the first thing the company's tried that can separate the customer from Prime, and so far, they're happy with the results. However, Walmart is definitely onto something here, and a later iteration of Jetblack could swipe high-end customers, the most valuable ones, from Prime. The company certainly has the capital to run Jetblack at a loss if it needs to, which is part of Walmart's advantage in doing such experiments. John Mackey, CEO of Whole Foods Market, an Amazon subsidiary, is a member of The Motley Fool's board of directors. Randi Zuckerberg, a former director of market development and spokeswoman for Facebook and sister to its CEO, Mark Zuckerberg, is a member of The Motley Fool's board of directors. Jeremy Bowman owns shares of Amazon, Facebook, and Stitch Fix. The Motley Fool owns shares of and recommends Amazon, Facebook, and Stitch Fix. The Motley Fool has a disclosure policy.